A snapshot of SMGS events over the last two weeks. 11 Junior School and Learning Innovation Update We love our Junior School! A quick view of what’s happening over the coming weeks. News, events and notices from around the community. It is for the reasons stipulated above, and more, that I am so grateful to all grandparents and friends who were able to attend today to spend time together with the students in our classrooms. This gives the younger children a real thrill. I also empathise with those who were unable to be here today but would have very much liked to have been here. For those present, I hope that the experience has been worthwhile and, as always, we place this day in proximity to school holidays and Easter to enhance the opportunities for families to spend time together. If we can make it better for you, please contact us to suggest how. Apart from a special bond and love, grandparents provide our young children with important storytelling as another dimension of learning. There are so many life lessons available through this relationship, as children respond with awe and wonder to the â&#x20AC;&#x2DC;foreignâ&#x20AC;&#x2122; stories that can abound from another era. seems. We risk diluting the ability of our younger generation to solve problems both simple and complex as consumers of todayâ&#x20AC;&#x2122;s luxuries, rather than the producers of solutions to problems, and to develop grit in the process. As the saying goes, necessity is the mother of invention, and need has been replaced with want in many modernday situations. 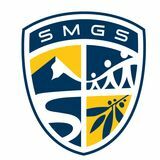 We are most fortunate and so are the children who attend Snowy Mountains Grammar School, who have been given a wonderful gift to attend a school that cares and nurtures students to achieve their personal best. To do so, schools such as ours need to continue to develop programs that provide diverse, rigorous, challenging and inspiring learning environments where important skills can be learned in a myriad of ways, both in and outside classrooms. I commend our staff who are working diligently to create such a learning environment, and always with a view to improvement over time. These events are correct at the time of distribution. For the most up-to-date information on events: https://www.smgs.nsw.edu.au/events. 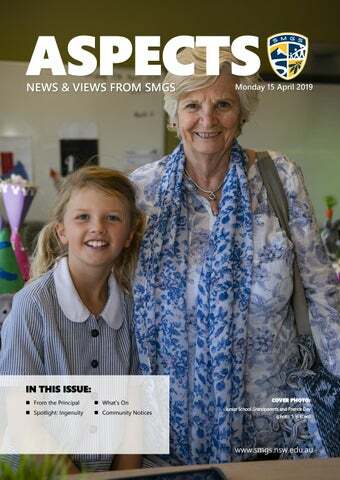 News and views from SMGS.